Ashra can help you too! Her highly sought after professional spell casting service offers energy and power to change real life problems. People have requested her love spells to bring back an ex lover or to save their relationship. The exclusive and intuitive ancient rituals of spell casters have been passed down through the generations of Ashra's family. The spells offered by Ashra can be cast upon your situation immediately for a fast outcome. Search deep within your soul, believe that you deserve better than the suffering and struggle you have been going through, and reach out by using the correct spell that matches your problem below. There are millions of people using Ashra's love spells to gain their advantage in life. You can too! For a free consultation, use the contact option underneath. Windsong is a strong and powerful spell that has stood the test of time. The direct energy will rumble into the soul of your lover. There will be a realization in ex that you two are meant to be together. The power of this spell is like no other ritual. People use it and keep it a secret from their friends. Friends are curious how they keep their successful relationship. They want to know how to keep their boyfriend or girlfriend too. Once your lover comes to a full understanding that they have made a mistake and want you back, you must be able to handle the love coming in your direction. The person will want to forgive you and welcome you with open arms. No other love spell casters have the knowledge on how to cast this ritual. It has been passed down through the generations and the exclusive nature of the casting is not shared. The specialized spell book is kept with Ashra herself and will be performed on your behalf. There is no substitute for sheer and ultimate power. There will be no one else with the talent that this spell caster holds. Find out how to achieve your greatest desires. Your lover must come home very fast! The Golden Kiss is an absolute must when you need to feel a tender and passionate kiss tonight! If there is something in you that is tired of waiting on love and the situation is falling out of your control, choose this spell by going to the page. This ritual is for a person that has a strong internal desire. This authentic love spell is going to harness the deep internal need that you have inside yourself. This authentic and genuine power could gain you everything you had hoped for plus more. What you know your heart and mind wants can be yours again. The magic within this energy will do an immediate call upon your lover to return. The time and attention to detail requires a full day to cast. The Golden Kiss ritual will be done in a proper way that succeeds to results. There is an ache and pain inside that cries for your ex to return. You know there is one true person you are in love with and just need to be with your ex this moment. It is painful to be apart and away from your lover. This is one of the fastest love spells for seeking out that lover and urging them to return. You may need to act quick and request this ritual on the page that follows before the situation worsens. You can not settle for anything less than the person that tugs at your heart! Fight for the love you deserve and spell cast this upon your ex-lover! You will not be disappointed! Your lover has made the worse decision by ending the relationship to be with someone else. There was a break-up and you know you are both meant to be together. However, you can not just leave it to chance, and need help reuniting the relationship. You are going to need one of Ashra’s breakup spells and potent magic to change this around. This is the right spell for you if you are looking to return an ex lover, in need of removing someone meddling in your affairs and taking your lover away, or just know that a certain special someone should be at home with you. I offer the occasional deep reading of your future and various other methods, like tarot card readings, to enchant your spell work’s direction. You can significantly alter the course and path of your future with a reading. It will align the spell casting and bring your choices into unison. At the specific moment that you have an active spell casting harmoniously coinciding with timeline of your lover — they return! The love spell may be enough on it’s own without a reading, but people find the enhancement of a future predict to answer the question of when and where a lover will return. 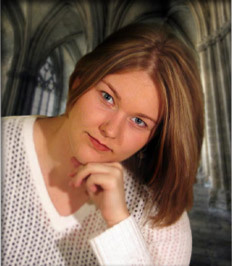 Ashra has received amazing reviews as an established and authentic spell caster. Her specialty is love spells and the ability to bring love back into your life. Your concerns are a priority when she is working with you. The proven and successful results of her love spells has been known for years. She has received several awards for her accomplishments. It is with Ashra’s dedication to the spell casting of quality and real magic spells for relationships that will make her the correct choice as your spell caster. Her impeccable talent in identifying the true problem in your relationship using psychic visions and readings allows her work to progress even faster! The insight and advice offered by Ashra will have a positive impact on your life. She may be one of the most loving people that you encounter and a spell caster that is looking to guide you with real results. Ashra’s magic and spell casting services are going to be something to desire when you are looking for the right outcome. There is a certain genuine style to Ashra love spell casting. You can feel the quality and the moving around of elements related to the Earth, Moon, Fire and Wind that are coming together to help you return to your relationship. The calendar of spell casting will be timed out for the full moon and the waxing / waning cycle. The ancient text and magic in her spell book will be referenced. Your relationship is extremely important to Ashra and it should be as important to you too! You can be one of those people that succeed with spells. Start by browsing through the sections and identifying with your gut-instinct which spells are correct for your situation. You can even go through with the request to get started because she is going to speak with you one-on-one to make sure every spell is correct for your specific problem and discussion on when these rituals will be performed. From the experience of the spell caster, you will instinctively pick out the correct spell casting options almost all of the time. Ashra is a professional spell caster who uses advanced magic spells based on astrology to form a powerful connection between you and your lover. Most couples will begin to subconsciously bring themselves closer to one another. There are thousands of positive Ashra reviews. It’s time to get started and find out for yourself what her spells can do for your own relationship. Review the love spells available by clicking on the orange buttons or the drop down menu. Once you have requested your spell or enchantment, you will have a chance to speak to her and direct the outcome you desire for your love situation. The power is now in your hands! My name is Ashra. I have helped many people return love to their life. With over 14 years of experience, I specialize in reuniting couples and helping people find love. If you long to have your lover return or need help with your relationship, there is something you can do about it! Browse my list of spells below and choose one based on your gut instinct. We will get started immediately. The use of this site and Ashra's services are for Entertainment Purposes Only and information provided is based on spiritual beliefs and, like all religious or faith beliefs, not experimentally proven. You must be at least 18 years old to make any purchase on this website. By browsing this website or choosing to purchase from www.passion-panacea.com, you are consenting to the Terms of Service (TOS).